As an analyst at Spinverse, Erika works with projects related to technology commercialisation, innovation ecosystems and funding proposal preparations. Prior to joining Spinverse, she has gained diverse experience in energy, manufacturing and communications. Erika holds a M.Sc. (Tech.) in Advanced Energy Solutions with minor studies in industrial engineering and knowledge management. Her studies at Aalto University and National University of Singapore focused on sustainable energy systems and markets. 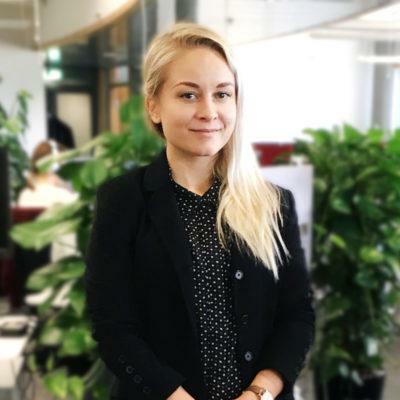 In her master’s thesis she studied urban energy transitions in emerging markets through a multidisciplinary research project at Aalto University, during which she lived in Kenya. In her spare time Erika does various sports, such as running, yoga, hiking and snowboarding. She also enjoys traveling, surfing and playing the ukulele.